Review~ I really enjoyed this book! It was full of great wit and wisdom! It didn't take much time to read but the words will stick with me for a long time! Its a book filled with wonderful illustrated pages that are filled with lovely words for any mother and how important moms really are to everyone! 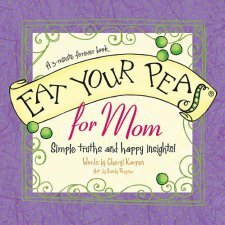 This would make a great book for mother's day! disclosure: I received this book from Booksneeze in exchange for my review!